Boone County’s public libraries play large roles in enriching the community through special programming and events for all ages. The Thorntown Public Library provides daily lunches and activities to the elderly community and has recently stepped in to assist the Thorntown Heritage Museum with its operations. 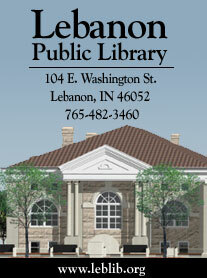 The Lebanon Public Library invests in outreach programming at local schools, the Methodist Children’s Home, Morning Base and its Kenworthy Reading Camp. 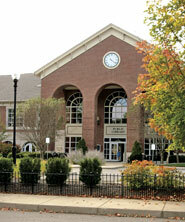 HMMPL, now in cooperation with both Lebanon and Thorntown Public libraries, has instituted a One Book, One Town initiative for the last several years. HMMPL also provides free low-income tax services for seniors, Visiting Nurse Services and a Youth Department that places a high priority on early literacy initiatives. These are only a few examples of the ways Boone County libraries work with the community in order to enhance the overall quality of life for residents. Please utilize the following library contact list in order to obtain further information on library programming, events and resources.